« Canning Season Is Almost Here! It’s the Canning Season Quilt-Along! 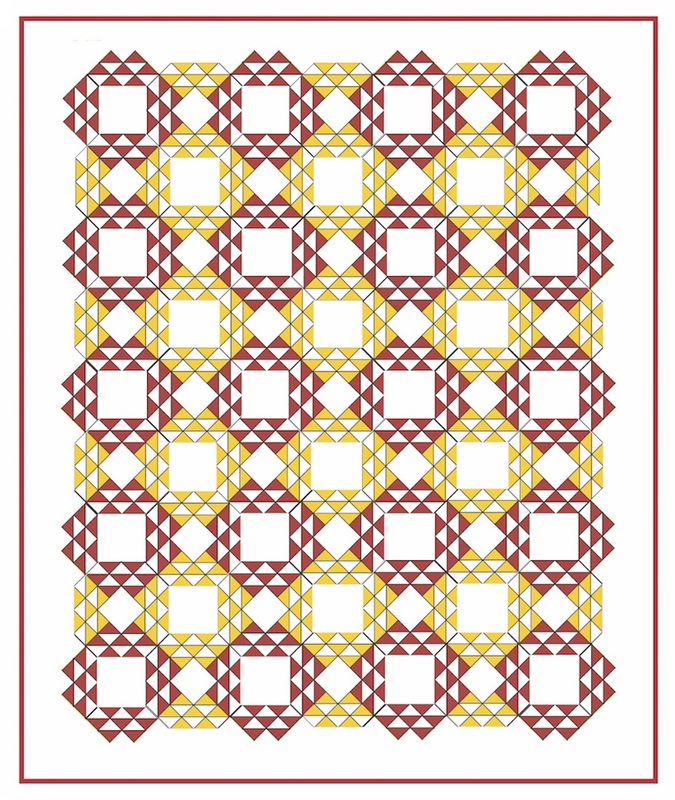 For this quilt, I altered the construction method to make it easier to make the quilt scrappy, and it allows for playing around with the layout a bit more, since the blocks are made in sections. And I’ve left off the appliqué. 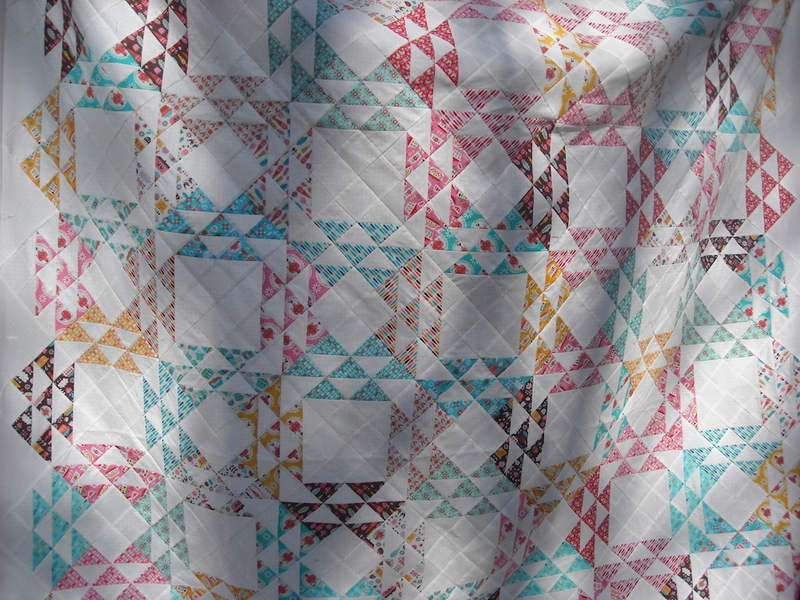 I made my quilt using all the pieces from the Vintage Kitchen line by Andrea Muller for Riley Blake Designs. It fits in with my retro ’50s theme perfectly! But it will also look great in lots of various scraps, no matter what your tastes. 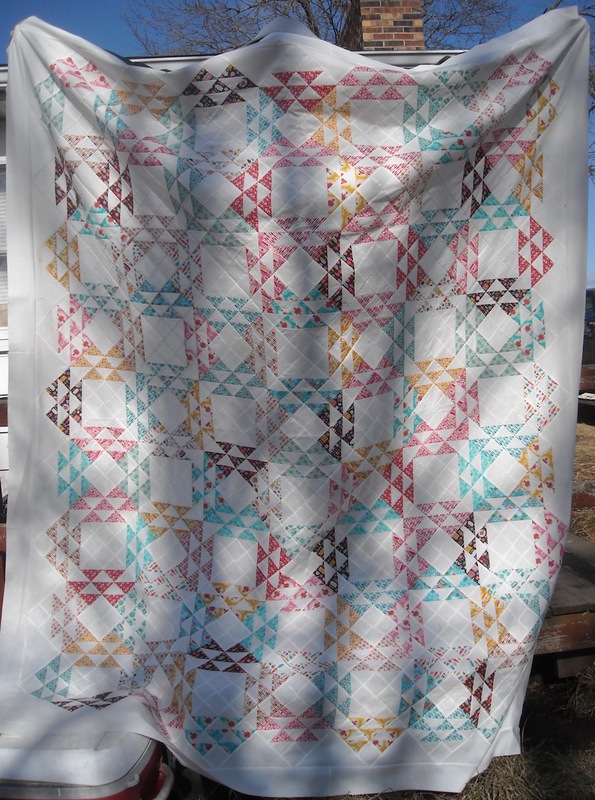 I’m anxious to see what you all come up with for color combinations for this quilt! The finished quilt measures 74″ x 91″. I used all one fabric for my background, but you could make your background scrappy, if you wish. An assortment of low-volume prints, or a mix of creams and light tans, would also work great, and help you use up stash if you’re needing to do that. Prints: 3 1/2 yards total, in as great a variety as you want (the more, the better). I used 21 different fat quarters, which was more than I needed total, but it gave me a greater variety to sprinkle around my quilt top. The quilt is machine pieced, so you’ll need your sewing machine in good working order, and you’ll need a rotary cutting system (ruler, cutter, mat). Thread in a neutral color to match your fabrics, and basic sewing supplies, and you’ll be all set to get this quilt done. I’ll try to remember to come back and make these links live as each step is posted. They will also be available in the sidebar on the main page for easy access to each step as we progress. If you have any questions, be sure and let me know. I’ve had a few computer problems today, so in my frazzledness, it’s entirely possible that I forgot to mention something! Have fun picking your fabrics! I hope you’ll join us for Canning Season! on January 30, 2017 at 8:24 pm | Reply Karen F. Gah!!! Shelly, you’re killing me! I love this quilt! You had me at canning season, you know…and I’m awfully glad you didn’t wait until the REAL canning season to put this out. It would never have happened then…but I might just try to make this one! I am determined to make more and more Shelly quilts. Just what I need. Another one. Okay, maybe not, but still I am going to go along on this ride!! I love you and your quilts. I love it, too! 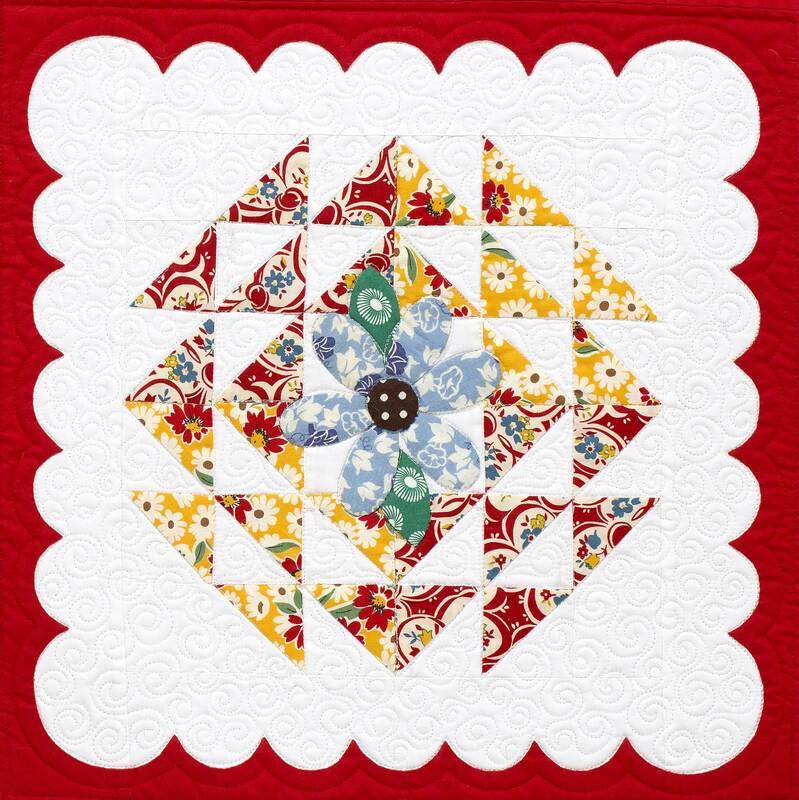 Question for you…can any pieces be cut from jelly roll strips or should FQ’s be the smallest scraps? Very interested. I will have a look and see what scrap box is the fullest. We will see what happens. I absolutely love it. I certainly don’t need another project, but I think this one could be pretty irresistible! OK Shelly, I really am considering doing this quilt with you. So of course I have questions. 1) How is rayon to work with? I’ve been looking at fabric online and the one I want to use for backing is rayon. 2) you said the quilt is 74 x 91. What size must the backing be for it to be machine quilted? I think I’ve heard Krista say +10 inches on each of the four sides, but I can’t get ahold of her right now. That would make the back 94 x 111. 3) since the fabric is likely 45 in. wide, could I get away with 89 x 111?